Emmanuel Macron has seen his poll ratings plummet less than three months after he rocked the French political world by claiming the presidency. France's energetic and image-conscious president has seen his popularity drop after announcing budget cuts, launching a divisive labour reform and engaging in a damaging dispute with the military. A series of opinion polls last week showed the percentage of French citizens who said they were satisfied with Mr Macron's policies and trusted their young leader to deal with the country's problems plunging. The reversal might not affect the visible international profile he has cut since taking office, but it could hurt Mr Macron's ability to secure his ambitious domestic agenda. France's Ifop polling agency put it bluntly: "Apart from Jacques Chirac in July 1995, a newly elected president has never seen his popularity rate falling as quickly during the summer after the election." Four polls over the past week showed Mr Macron's support down sharply from earlier surveys, though each one measured popularity differently. The polls by Ifop, Harris Interactive, YouGov and Elabe showed between 36 and 54% of respondents with positive views of Mr Macron's presidency, a decline from previous gauges of public opinion that also had shown his approval ratings down since he won 66% of the vote in the May election. His declining approval is striking given that Mr Macron was being credited two months ago with giving France a boost of much-needed confidence after years of security fears and economic stagnation. Increasingly, he instead is portrayed as power-hungry and inexperienced. The French media have started calling Mr Macron Jupiter, a reference to the mythological king of the Roman gods and what is perceived as the president's superior attitude after he upended France's political landscape and shot from relative obscurity to the nation's top post at age 39. While struggling at home, Mr Macron has succeeded in raising France's diplomatic profile, hosting meetings with Russian president Vladimir Putin and President Donald Trump and Libyan peace talks in Paris. Jean-Daniel Levy, director of the Policy and Opinion Department at the Harris Interactive polling institute, connects the president's popularity slide to the government's plans to reduce housing aid for students and to initiate tax reform. The reform aims to help lower-income employees, but could affect pensioners. Mr Macron's image also took a hit during his stand-off with the French military chief over budget cuts. General Pierre De Villiers resigned and was quickly replaced, but some saw last month's public dispute as evidence of the president's authoritarian tendencies. Mr Macron has promised to boost defence spending to 2% of gross domestic product by 2025 as part of France's commitments to Nato, but the government announced a reduction of 870 million euro in military spending for this year. 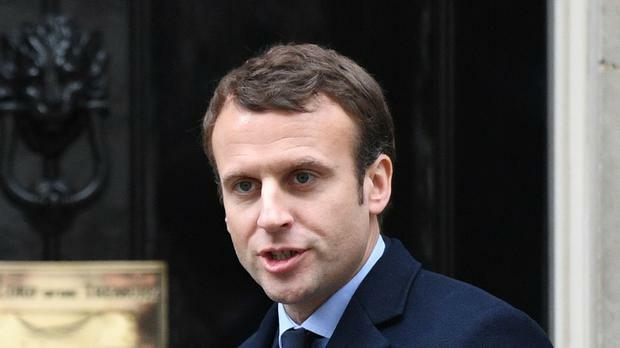 The government also launched the labour reforms that were central to Mr Macron's campaign promise to boost France's lagging economy through pro-free market policies. Changes would include capping the potential financial penalties for companies sued for firing employees and giving businesses greater leeway to set workplace rules instead of relying on collective bargaining agreements. Labour unions and France's far-left parties are fighting the reforms, saying they would weaken hard-won worker protections. Critics also resent the way Mr Macron is trying to speed their approval. The government is invoking a special procedure to avoid a lengthy debate in parliament.